A basket is more multifunctional than you think. 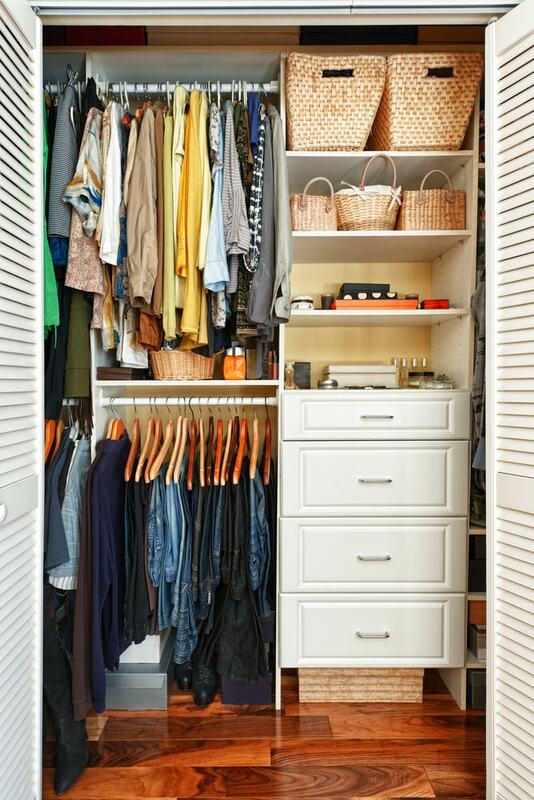 On one hand, the woven materials, be it fabric, hemp, metal or wicker form an upright container that has become the number one choice for every day storage needs. But when you step back and approach the ‘basket’ from a decorative perspective, the question is no longer, “What can fit in it?”, but rather “Where can a basket fit and how can it be used?”. In addition to the endless weaving patterns and materials to choose from, the pricing spectrum gives you a gigantic selection of baskets to choose from no matter how small or big your budget is. You might even be surprised by the amount of rhythm you can add to your home with the current baskets you have sitting around. From their lightweight design to the many shapes and sizes, read on to discover how to get the most out of baskets for decorating your home. 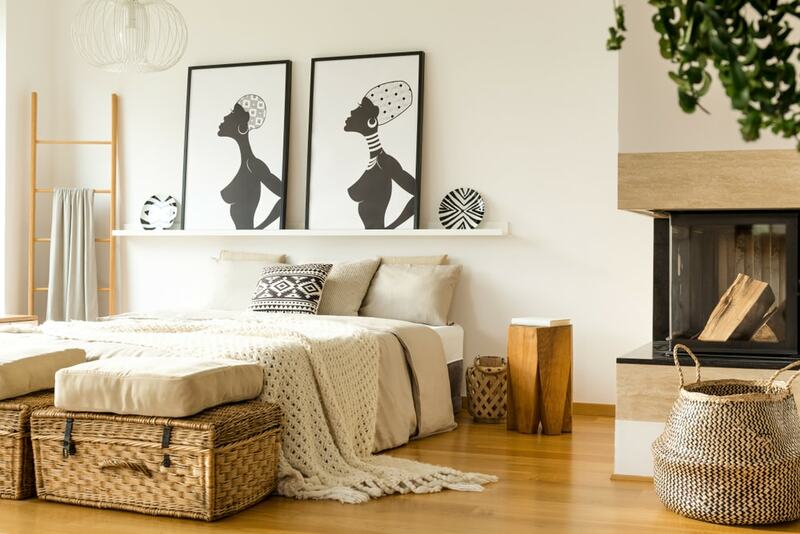 The most used room in your home can undergo a complete makeover through a balanced and color coded basket scheme that looks beautiful and keeps things in order. 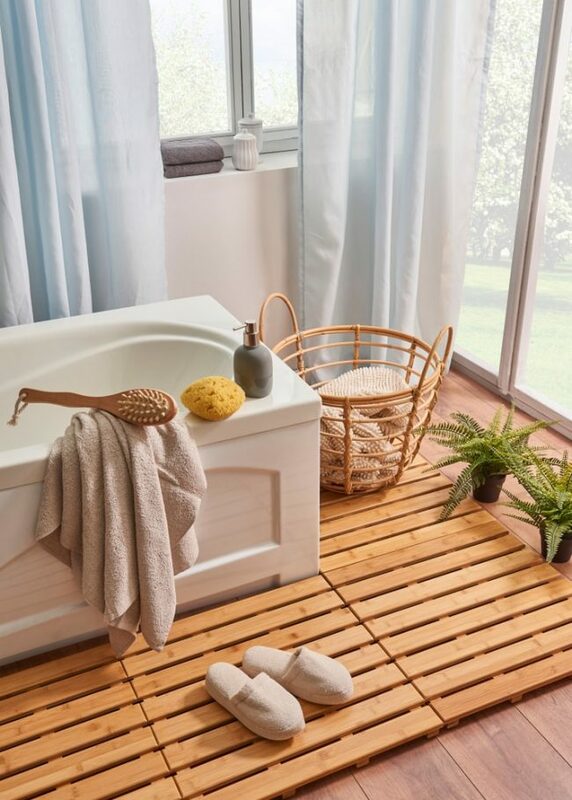 Avoid using wicker, hemp or other material baskets in your bathroom because they absorb liquids and humidity that quickly transform into mildew and mold. Choose wired, non porous baskets of a color scheme that match the walls and flooring of your bathroom. Wide weave wired baskets are perfect for storing rolled up towels and slippers, and you want to use tighter weaved baskets for storing smaller items such as toilet paper, magazines and face products. Metal baskets are fast and simple to clean, making them the perfect choice for storing dental items like floss, toothpaste and toothbrushes. Just be sure the basket is shorter than the toothbrushes that you store so that your bristles do not rub against the basket. 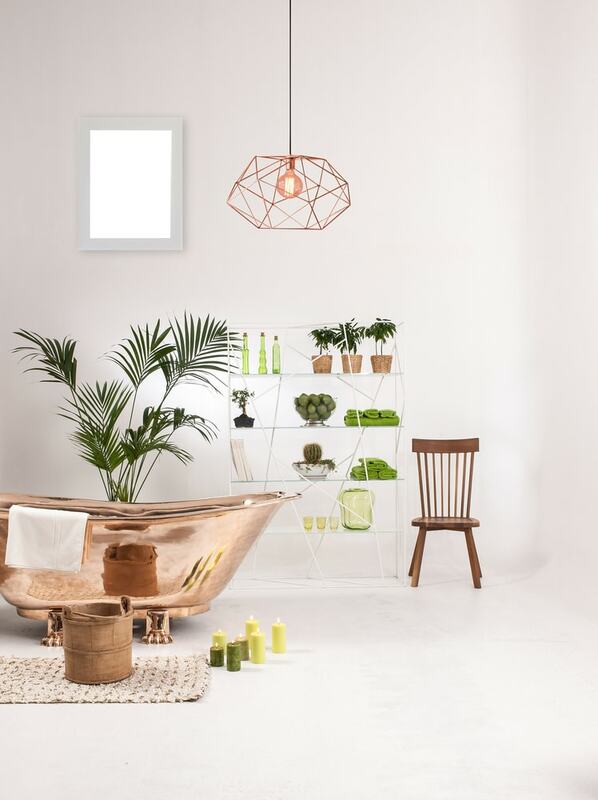 Look for basket collections which offer multiple sizes so that each basket matches and can be used for a variety of storage and display purposes near the sink, outside your tub or next to the toilet. After your furniture, lighting and utensils are in their place, it’s common to generate what we call ‘Wasted space’ – the hard to reach areas above your kitchen cabinets and on top of your fridge. These unusual spaces are nothing more than dust and grease collectors that can simply be transformed into decorative areas with the right baskets. The key here is to use baskets in wasted spaces to store stuff that you rarely need such as batteries, pet hair brushes, measuring tape and more. Choose a non-transparent fabric basket with a matching design to store any of the above items in these spaces to disguise them. Nobody knows what’s inside and you really don’t even need to use these fabric baskets for storage. The goal is to prevent grease and dust build up whilst adding color accents to your kitchen. Since these areas are often hard to reach, a great idea is to use wired baskets to showcase stuff that serves a design purpose only. Wired baskets filled with empty mason jars, wine bottles, vintage bottles and tins are perfect for spicing up spaces with old time traditional looks. 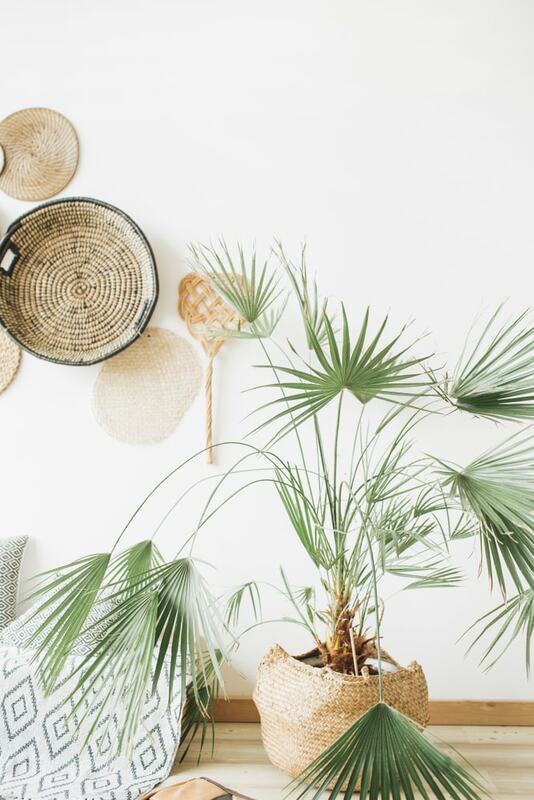 Baskets offer you a handful of ideas to breath life into your home by bringing the great outdoors under your roof without having to use heavy planters or pots. Baskets are the perfect alternative because they are lightweight and come in natural color tones that match plants and small trees. Baskets make it much easier than pots to slide plants and trees around your space. Remember to always use plastic planters irregardless of the weave pattern of the basket to catch water. On the other hands, small wire baskets can be used to display air plants on the inside of window frames, fire places and ledges throughout your home. The magic of air plants is that they require little to no soil or water, making them a great choice to display inside an array of baskets. Air plants inside of baskets blend nicely into work desk and kitchen counter spaces that need a refresh. Our advice is to match green air plants with natural wood colored wicker baskets. Glue gun. Clothes pin. Faux flowers. Check! Every basket can be turned into a piece of art with a little bit of imagination. Baskets made with thick weave materials like wood and wicker that have minimum spacing are perfect to transform into eye-catching basket art. Use hot glue to attach objects of your choice. A few great ideas to use for natural styled basket art are pine cones, dried leaves and twigs. Add neon paint or bright faux flowers to liven it up. Another idea to inspire your inner DIY artist is to weave colored yarn throughout wired baskets all the way around. Use different colors for each row of the basket and weave the yarn alongside the diameter. While this is a timely task, it makes for the perfect storage unit to tidy up art supplies like scissors, colored pencils and the like. A popular and minimalist design is to use white yarn on a black wired basket. Remember to cut and tightly tie the yarn around the wires when you reach the other side to prevent unravelling. While we promote the use of reusable bags for all of your trips to the store, it’s not always easy to remember them when walking out the door! Plastic bags add up, and if you’re like most people, it’s time to free up the plastic bag cabinet to make room for things that actually need to be stored in a dry, cool place. While there are multiple ways to turn baskets into the perfect plastic bag saver, our two favorite ideas make for the easiest way to remove bags whilst utilizing the least amount of space. Attach a wired clothes hanger around the rim of a tall wicker basket and fix it to the top of a door or wall in your kitchen. Cut out a small hole at the bottom and viola! Alternatively, use a wide weaved wicker basket that allows you to remove plastic bags in the gaps. It’s as simple as drawing a tissue! There is no rightside up for a basket. Just think vertically. Fixing the bottom side of a basket to a wall creates an instant shelf that’s perfect for using in any room in your home. 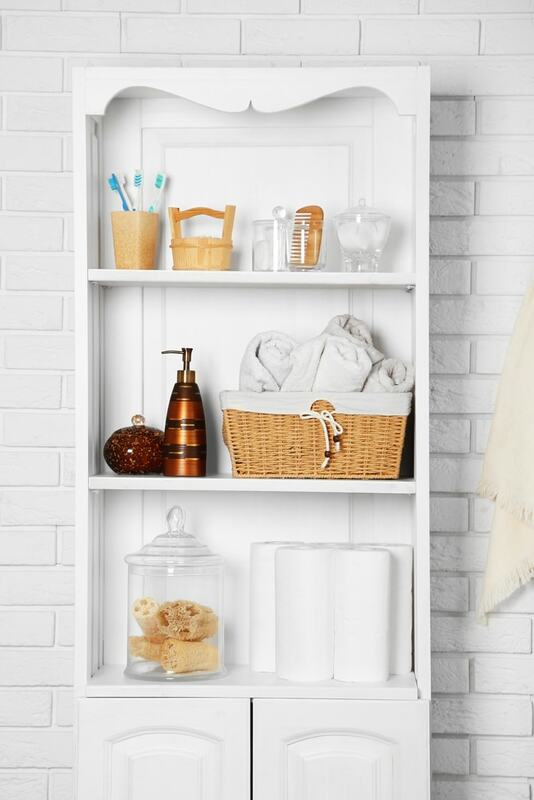 Do away with the boring shelves and make room for a basket shelf wall in your bathroom to zen out the space. Natural bamboo and wicker baskets look beautiful used as shelves. Plus you can use the inside and the top of the basket to store items as long as the basket is strong enough. Shallow baskets make for the perfect shelves because they are not flimsy when you hang them. Baskets like this one are also perfect for moving your laundry to and from the washing machine. Black and silver wired baskets are decorative and strong enough to hold a variety of kitchen utensils. Use hooks to hang large spoons, salad mixers and tongs. Try mixing and matching different sized baskets to create unique patterns and maximize wall space. 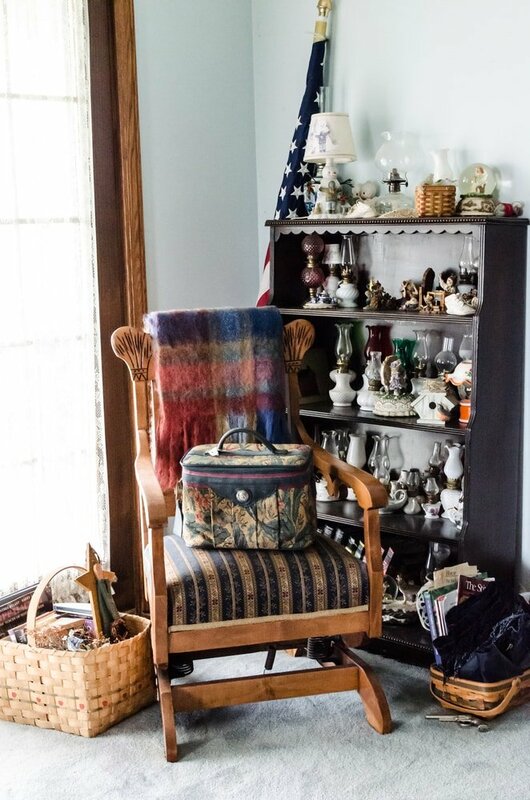 You don’t have venture out on an American Pickers mission to bring to life our final idea for decorating your home with baskets, but the goal is to go vintage. 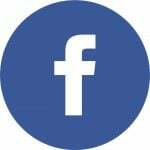 Make a visit to the flea market or browse the internet for quality antique baskets to put on display a farmhouse look or mountainesque theme. To your advantage, baskets have actually been around since 8000 BCE. 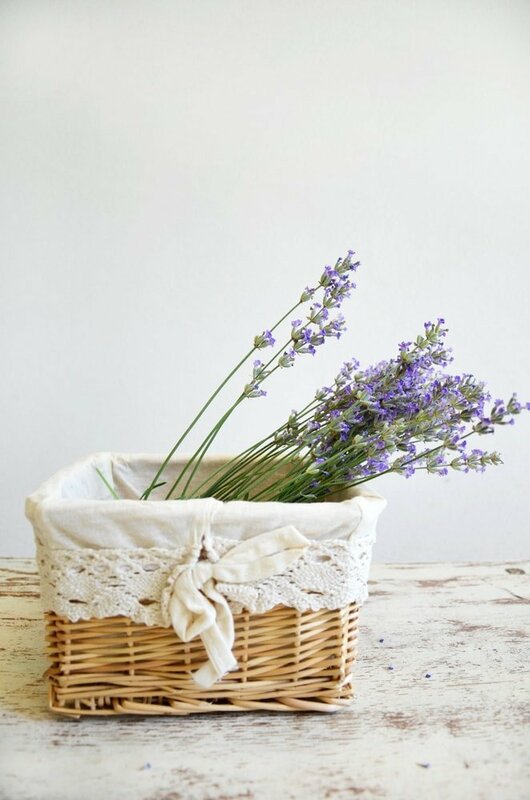 There’s no shortage of baskets when it comes to decorating your home with a vintage look, but antique baskets are usually too fragile to use for storage. 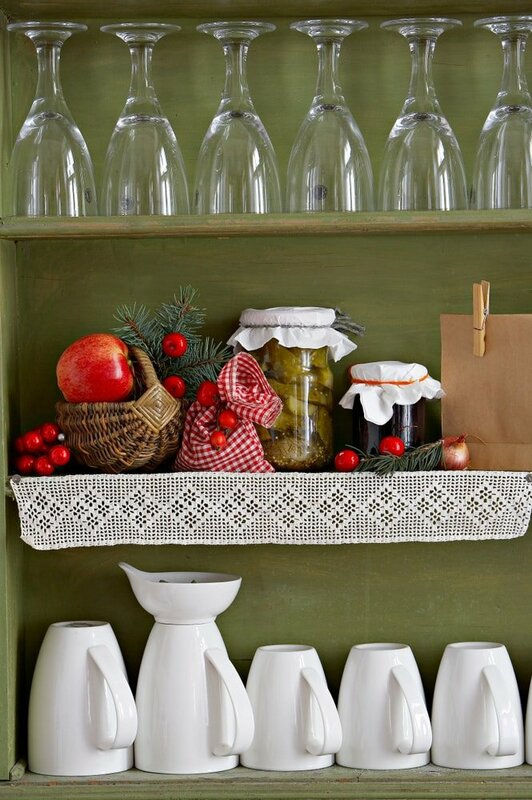 Vintage baskets should be used to add accents on your walls, store smalls fruits on kitchen tables or rested on shelves. Since basket making began as an art form that served a core purpose, there are a variety of different colors to choose from brass, faded wood, ruby, silver, wood and more.